Considering all the sports available on DISH and DIRECTV, what are they missing? Do you wish there was a better source for domestic lacrosse, or year-round curling? There are so many professional sports leagues that it’s impossible to televise them all. 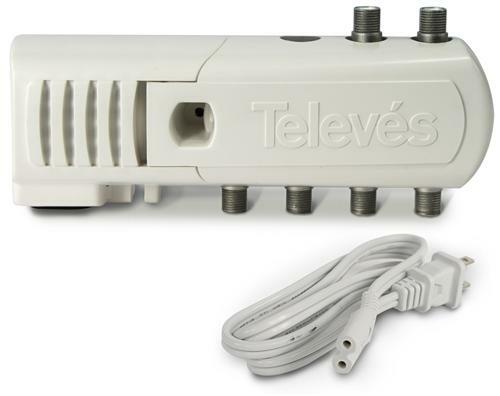 Leave us a comment saying the sports you wish to see more of on DISH and DIRECTV and you’ll be entered into a drawing to win this brand new amplifier from Televes. This strong, low-noise 16dB amplifier gives you the power to run 5 TVs from a single antenna (the fifth TV has no amplification, since it’s expected you’ll put the amp near one TV.) This amplifier is just what you need to complete your cord-cutting setup and it’s only available from Solid Signal! A winner will be chosen at random from all entries found on this site and on Solid Signal’s other social media channels. NICE AND EASY: What is bit error rate?